Preparation of reports for patent validity and infringement assessments. You are provided with a fixed cost estimate for each stage of the patent process (such as, searching, assessing, preparing the application, etc.). The are no hidden or unexpected fees because all costs are identified to you in writing. For a consultation, please call 1-289-383-1427. Subject matter covered includes mechanical, electrical, computer and software inventions. CONFIDENTIALITY - All client communications held in strict confidence. 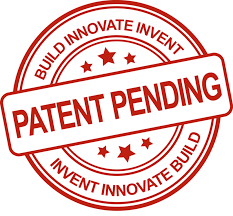 GEM Patent Services assists inventors in patent searches, preparation, filing and prosecution of patent applications worldwide including: United States, Canada, Korea (KPO), European Union (EPO), Japan (JPO), China. We reach out to inventors located in Canada in the following cities and provinces: Sudbury, Thunderbay, Kingston, Ottawa, Barrie, Oakville, Hamilton, Pickering, Markham, Richmond Hill, Waterloo, Guelph, Peterborough, Oshawa, Toronto, Mississauga, Ontario, Montreal (Laval), Québec, Vancouver (Surrey, Burnaby), British Columbia, Ottawa–Gatineau, Ontario/Quebec, Calgary, British Columbia, Alberta, Saskatchewan, Manitoba, Ontario, Quebec, Nova Scotia, New Brunswick, and Newfoundland; The United States. Search terms that pertain to GEM Patent Services may include: patent agent, intellectual property agent, patent prosecution firm, international patent agent, patent application, applications. GEM Patent Services is owned and operated by (is a division of) 8399328 Canada Inc.